We all get busy from time to time and the past year has been so busy that it feels like a blur for me. That’s a good thing though, so much good going on. At Cityzenith we’ve hired a great team to migrate our platform from cesium.js to Unity. More on this later in the post. Now on to the news we were able to talk about last month was Cityzenith was selected for the Dreamit UrbanTech. This is startup accelerator founded in partnership with Strategic Property Partners (a joint venture by Jeff Vinik and Bill Gates). 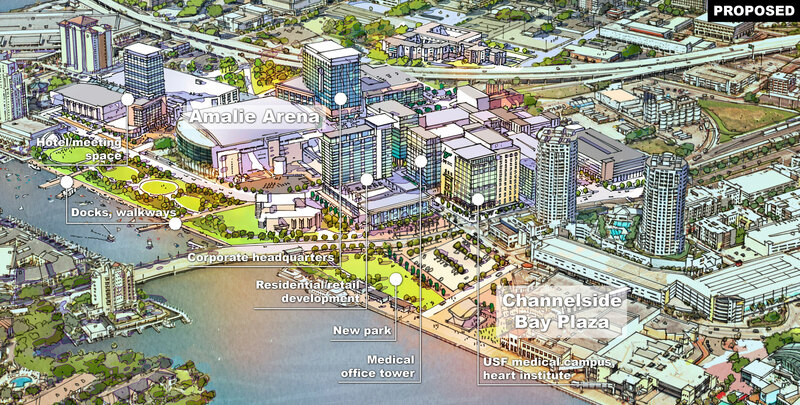 SPP is leading the $3B redevelopment of the Tampa Bay waterfront, one of the largest real estate projects in the United States and a rare opportunity to build a smart, connected city in an existing urban zone. I’ll be in Tampa all next week meeting with many of the companies who are going to use Cityzenith to build the Tampa Bay Waterfront Project. We are excited to use the project to scale Cityzenith into a tool that can be part of the workflows for all Architecture, Engineering and Construction companies who want to integrate, BIM, GIS, CAD, IoT, web services and visualize them in a worldwide 3D tool that gives them the ability to plan for the future and the impacts of current development. Should be an amazing time. In the coming weeks I will be diving deeply into why Cesium is actually pretty damn awesome even if we didn’t select it for Cityzenith Smart World 2.0, why we’re really liking glTF 2.0, Mapbox Unity SDK, using AWS IoT and AWS Lambda for some great serverless file conversions and what we’re diving into deeply, City Information Modeling or CIM.